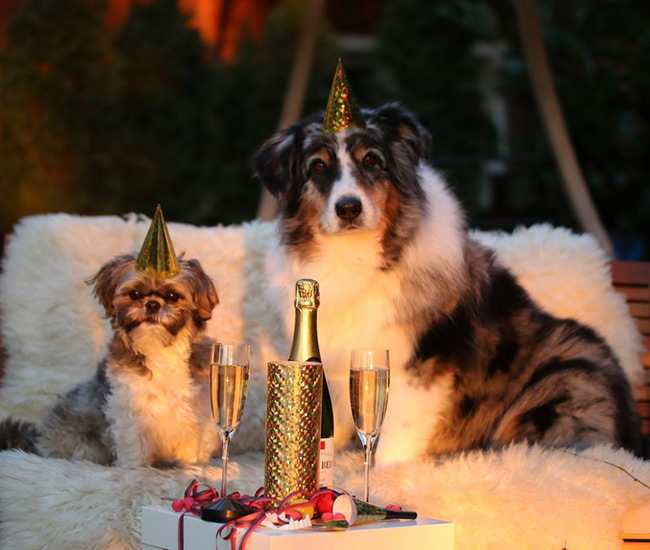 Blog What are Your New Year’s Resolutions for Your Pet? So this is an edited repost from last year but I felt that especially after another year going by – it was still very relevant.I have generally achieved my change goals. I have spent more time training my dogs and a little less at classes. I have been pretty decent about running them but I could pay more attention to my cat and I could get out more with my dogs. Those are my two focuses for 2019, in addition to the accomplishments I have maintained from 2018. The start of a new year always brings about thoughts of planning, changing and how to be better at life. 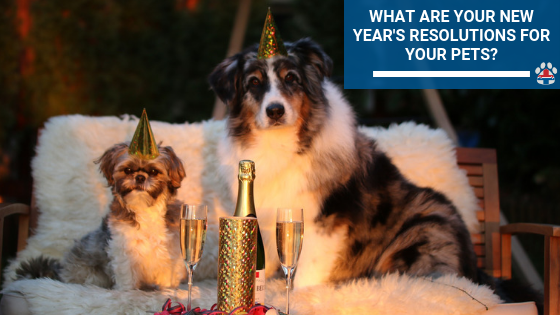 I’m not here to discuss another New Year’s Resolution, but rather just a positive and consistent change we should think about making for our pets. We brought our dogs and cats into our lives for us, just admit it. Yes many of us saved a pet from a high kill shelter or provided some other heroic act but at the end of the day, we enjoy the company of dogs and cats. We keep them in our homes, welcome them into our beds (or not) and generally expect them to follow the rules we establish. We have some high expectations for animals that naturally would be running around in packs or colonies, hanging around humans for our scraps and wouldn’t be so accommodating to our society rules had we not taken it upon ourselves to domesticate them. I know, the cats and dogs played a part in their own domestication as well, they chose to take the food from the humans and therefore helped to develop the symbiotic relationship we have. But, and this for me is a big BUT – I firmly believe that just because we domesticated cats and dogs, we still very much owe it to them, to allow them to be what nature intended. Cats are lions in our living rooms and their canine counterparts are curiously on our couches waiting for their next hunt. We owe it to these magical beings to allow them to be the natural beasts they were built to be. It’s currently 8 degrees outside here in New England, my domestic shorthair cat is far happier curled up on the blanket with her tail covering her nose then she would be outside, as are my short coated Boxers. But my dogs and cats were built to work and run, so here’s my plan to change so they have a better life doing what they were built to do. I bought a treadmill for $100 on Facebook marketplace, pretty easy transaction and it works well. All 3 of my dogs are accustomed to it but Phoenix, my three-year-old girl rushes down to the basement and jumps on anytime the basement door opens. Wish I had that same enthusiasm for running! I will do more home training with my dogs. I am TERRIBLE at doing homework despite having a good bit of agility equipment. I have always told myself that if I go to more classes I’m doing right by my dogs but I’m killing my wallet and still only going 1-2 times a week with each of my three dogs. There is no reason why I can’t take 5-10 minutes at least every other day and work on a few tricks. I love doing it, they love doing it and it saves hugely on gas and class costs. I will play with my cat more regularly. My friends had a ton of wand toys that their cat wouldn’t play with so they gave them to us. My 12-year-old cat LOVES them, there is no reason why I can’t play with her more, she LOVES it. And maybe I can get her on the treadmill. She does love to sit at the back and catch the treats that the dogs miss. Allow them to Be the Animals They Were Born to Be! Bottom line, if you can find some way in 2019 and beyond to allow the furry couch potatoes in your life to be the cats and dogs they were born to be, then DO IT! Also, of course, learn how to do all of this safely, or just learn how to recognize when something is not right! 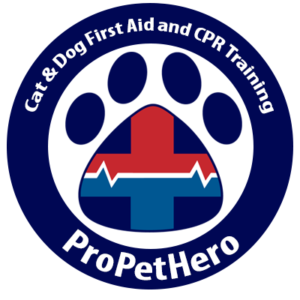 Just last winter when I was letting my own dog “be a dog” he fell through the ice, glad I knew what to do thanks to pet first aid & CPR training! They look so cute with those hats. We live in NYC, so more off leash hiking upstate in the wilderness! That is a great plan! Happy 2019!